Donald Trump Jr. is going to have an annoying week, with endless media requests and accusations that he committed treason. Why? Well, he sort of stepped in it. He fell for a bait and switch meeting with a Russian lawyer, set up by a Russian pop star’s publicist under the pretense that they had damning information on Hillary Clinton in June of 2016. None of that was true. In fact, the meeting, held in Trump Tower, did not revolve around Clinton at all, but the Magnitsky Act, which targets Russian abusers of human rights. It’s a point of contention between the U.S. and Russia. The issue here is a) Trump Jr. was not forthcoming about meetings with the Russians and the timeline of this meeting; and b) the publicist, Rob Goldstone, said that the information was highly sensitive and collected by the Russian government in its effort to help his father, Donald Trump, win the 2016 election. This has led to accusations of treason, which are unfounded. Is this smoking evidence of collusion? No, but the optics are awful. Moreover, the Democrats now smell blood. It’s the makings of a very long summer regarding the Russian collusion story. Yet, Katie noted how Team Hillary worked with Ukraine on opposition research against Trump. Isn’t that collusion? Well, let’s circle back to where the Clintons colluded with the Russians to give away our uranium mines in the American West, but not after some cash was sent to their foundation. Is this actual collusion? It’s hard to say as the media keeps lowering the bar on that subject. His donations through the Fernwood Foundation included $1 million reported in 2009, the year his company appealed to the American Embassy to help it keep its mines in Kazakhstan; $250,000 in 2010, the year the Russians sought majority control; as well as $600,000 in 2011 and $500,000 in 2012. 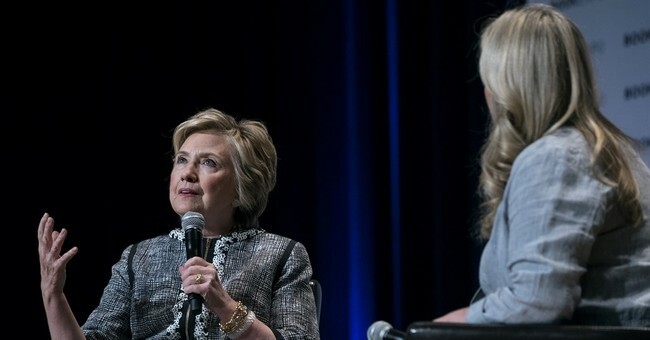 Mr. Telfer said that his donations had nothing to do with his business dealings, and that he had never discussed Uranium One with Mr. or Mrs. Clinton. Again, this story has come and gone, but we should be reminded that worse meetings and possible transactions have occurred. Moreover, they’re given new scrutiny now that a portion of America’s political class has become vehemently anti-Russian. Any meeting with the Russians is now viewed as suspicious. The Nation’s Katrina Vanden Huevel likened it to a neo-McCarthyite furor, where any rendezvous with the Russians is considered an act of sedition or treason. Case in point, the Trump Jr. meeting with Russian lawyer Natalia Veselnitskaya was legal, though the events leading up to it might warrant more of a review. The media and the Democrats have become so unhinged over Russian collusion, and have pretty much been wrong about everything about it, they cannot see the forest through the trees. The Trump White House can no longer use the zero evidence narrative as effectively anymore. The email chain Trump Jr. revealed yesterday is cause for more inquires, but the Democrats are now throwing around treason. They’re overreaching and in doing so, miss that some might think that signing away our uranium capacity to the Russians, while parties facilitating the Uranium One sale are flooding the Clinton Foundation with cash, is just as bad if not worse than this Russian meeting that pretty much was a waste of time for Mr. Trump Jr.